^ a b c d e Kneale, p. 3. ^ Heath, Mathematics in Aristotle, cited in Kneale, p. 5. ^ Zalta, Edward N. "Aristotle's Logic". Stanford University, 18 March 2000. Retrieved 13 March 2010. ^ Oxford Companion, article "Chrysippus", p. 134. ^ Boethius, Commentary on the Perihermenias, Meiser p. 234. ^ Epictetus, Dissertationes ed. Schenkel ii. 19. I. ^ Sextus, Adv. Math. pp. viii, 113. ^ See e.g. Lukasiewicz, p. 21. ^ Sextus pp. viii., 11, 12. ^ S. C. Vidyabhusana (1971). A History of Indian Logic: Ancient, Mediaeval, and Modern Schools. ^ R. P. Kangle (1986). The Kautiliya Arthashastra (1.2.11). Motilal Banarsidass. ^ Kisor Kumar Chakrabarti (June 1976). “Some Comparisons Between Frege's Logic and Navya-Nyaya Logic”. Philosophy and Phenomenological Research (International Phenomenological Society) 36 (4): 554–563. doi:10.2307/2106873. JSTOR 2106873. "This paper consists of three parts. The first part deals with Frege's distinction between sense and reference of proper names and a similar distinction in Navya-Nyaya logic. In the second part we have compared Frege's definition of number to the Navya-Nyaya definition of number. In the third part we have shown how the study of the so-called 'restrictive conditions for universals' in Navya-Nyaya logic anticipated some of the developments of modern set theory." ^ Boole, Mary Everest "Collected Works" eds E M Cobham and E S Dummer London, Daniel 1931. Letter also published in the Ceylon National Review in 1909, and published as a separate pamphlet "The Psychologic Aspect of Imperialism" in 1911. ^ Feldman, Seymour (1964-11-26). “Rescher on Arabic Logic”. The Journal of Philosophy (Journal of Philosophy, Inc.) 61 (22): 724–734. doi:10.2307/2023632. ISSN 0022-362X. JSTOR 2023632. . Long, A. A.; D. N. Sedley (1987). The Hellenistic Philosophers. Vol 1: Translations of the principal sources with philosophical commentary. Cambridge: Cambridge University Press. ISBN 0-521-27556-3. ^ a b Goodman, Lenn Evan (2003), Islamic Humanism, p. 155, Oxford University Press, ISBN 0-19-513580-6. ^ See pp. 253–254 of Street, Tony (2005). “Logic”. In Peter Adamson and Richard C. Taylor (edd.). The Cambridge Companion to Arabic Philosophy. Cambridge University Press. pp. 247–265. ISBN 978-0-521-52069-0. ^ Ruth Mas (1998). “Qiyas: A Study in Islamic Logic”. Folia Orientalia 34: 113–128. ISSN 0015-5675. http://www.colorado.edu/ReligiousStudies/faculty/mas/LOGIC.pdf. ^ Nicholas Rescher and Arnold vander Nat, "The Arabic Theory of Temporal Modal Syllogistic", in George Fadlo Hourani (1975), Essays on Islamic Philosophy and Science, pp. 189–221, State University of New York Press, ISBN 0-87395-224-3. ^ Stephen Dumont, article "Peter Abelard" in Gracia and Noone, p. 492. ^ See e.g. Kneale, p. 225. ^ Oxford Companion p. 504, article "Traditional logic"
^ Carl von Prantl (1855-1867), Geschichte von Logik in Abendland, Leipsig: S. Hirzl, anastatically reprinted in 1997, Hildesheim: Georg Olds. ^ Wilhelm Wundt, Logik (1880–1883); quoted in Edmund Husserl, Logical Investigations, translated J.N. Findlay, Routledge, 2008, Volume 1, pp. 115–116. ^ Edith Sylla (1999), "Oxford Calculators", in The Cambridge Dictionary of Philosophy, Cambridge, Cambridgeshire: Cambridge. ^ El. 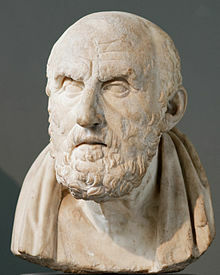 philos. sect. I de corp 1.1.2. ^ Rutherford, Donald, 1995, "Philosophy and language" in Jolley, N., ed., The Cambridge Companion to Leibniz. Cambridge Univ. Press. ^ Wiener, Philip, 1951. Leibniz: Selections. Scribner. ^ Essai de dialectique rationelle, 211n, quoted in Bochenski p. 277. ^ Wissenschaftslehre II 198ff, quoted in Bochenski 280; see Oxford 'Companion p. 498. ^ Peirce, "A Boolean Algebra with One Constant", 1880 MS, Collected Papers v. 4, paragraphs 12–20, reprinted Writings v. 4, pp. 218-21. Google Preview. ^ See e.g. The Internet Encyclopedia of Philosophy, article "Frege"
^ Girard, Jean-Yves; Paul Taylor, Yves Lafont (1990) . Proofs and Types. Cambridge University Press (Cambridge Tracts in Theoretical Computer Science, 7). ISBN 0-521-37181-3. http://www.paultaylor.eu/stable/Proofs%2BTypes.html. ^ Alex Sakharov. "Cut Elimination Theorem". MathWorld（英語）. ^ Feferman and Feferman 2004, p. 122, discussing "The Impact of Tarski's Theory of Truth". ^ The Independence of the Continuum Hypothesis, II Paul J. Cohen Proceedings of the National Academy of Sciences of the United States of America, Vol. 51, No. 1. (Jan. 15, 1964), pp. 105-110. Alexander of Aphrodisias, In Aristotelis An. Pr. Lib. I Commentarium, ed. Wallies, C.I.A.G. Avicenna, Avicennae Opera Venice 1508. Barwise, Jon, ed. (1982), Handbook of Mathematical Logic, Studies in Logic and the Foundations of Mathematics, North Holland, ISBN 978-0-444-86388-1 . Beaney, Michael, The Frege Reader, London: Blackwell 1997. Philotheus Boehner, Medieval Logic, Manchester 1950. Boethius Commentary on the Perihermenias, Secunda Editio, ed. Meiser. Bolzano, Bernard Wissenschaftslehre, 4 Bde Neudr., 2. verb, A. hrsg. W. Schultz, Leipzig I-II 1929, III 1930, IV 1931 (trans. as Theory of science, attempt at a detailed and in the main novel exposition of logic with constant attention to earlier authors. (Edited and translated by Rolf George University of California Press, Berkeley and Los Angeles 1972). Bolzano, Bernard Theory of science (Edited, with an introduction, by Jan Berg. Translated from the German by Burnham Terrell – D. Reidel Publishing Company, Dordrecht and Boston 1973). Boole, George (1847) The Mathematical Analysis of Logic (Cambridge and London); repr. in Studies in Logic and Probability, ed. R. Rhees (London 1952). Boole, George (1854) The Laws of Thought (London and Cambridge); repr. as Collected Logical Works. Vol. 2, (Chicago and London: Open Court, 1940). Jill Vance Buroker (transl. and introduction), Logic or the Art of Thinking, Cambridge University Press, 1996, ISBN 0-521-48249-6. Church, Alonzo, 1936-8. "A bibliography of symbolic logic". Journal of Symbolic Logic 1: 121–218; 3:178–212. Ebbesen, S. "Early supposition theory (12th–13th Century)" Histoire, Épistémologie, Langage 3/1: 35–48 (1981). Farrington, B., The Philosophy of Francis Bacon, Liverpool 1964. Feferman, Anita B. (1999). "Alfred Tarski". American National Biography. 21. Oxford University Press. pp. 330–332. ISBN 978-0-19-512800-0. Feferman, Anita B.; Feferman, Solomon (2004). Alfred Tarski: Life and Logic. Cambridge University Press. ISBN 978-0-521-80240-6. OCLC 54691904. Frege, G., Boole's Logical Calculus and the Concept Script, 1882, in Posthumous Writings transl. P.Long and R. White 1969, pp. 9–46. Gabbay, Dov and John Woods, eds, Handbook of the History of Logic 2004. 1. Greek, Indian and Arabic logic; 2. Mediaeval and Renaissance logic; 3. The rise of modern logic: from Leibniz to Frege; 4. British logic in the Nineteenth century; 5. Logic from Russell to Church; 6. Sets and extensions in the Twentieth century (not yet published); 7. Logic and the modalities in the Twentieth century; 8. The many-valued and nonmonotonic turn in logic; 9. Logic and computation (not yet published); 10. Inductive logic (not yet published); 11. Logic: A history of its central concepts (not yet published) Elsevier, ISBN 0-444-51611-5. Geach, P.T. Logic Matters, Blackwell 1972. Gergonne, Joseph Diaz, (1816) "Essai de dialectique rationelle", in Annales de mathem, pures et appl. 7, 1816/7, 189–228. Goodman, Lenn Evan (2003). Islamic Humanism. Oxford University Press, ISBN 0-19-513580-6. Goodman, Lenn Evan (1992). Avicenna. Routledge, ISBN 0-415-01929-X. Gracia, J.G. and Noone, T.B., A Companion to Philosophy in the Middle Ages, London 2003. Haaparanta, Leila (ed.) 2009. The Development of Modern Logic Oxford University Press. Heath, T.L., 1949. Mathematics in Aristotle Oxford University Press. Heath, T.L., 1931, A Manual of Greek Mathematics, Oxford (Clarendon Press). Honderich, Ted (ed.). The Oxford Companion to Philosophy (New York: Oxford University Press, 1995) ISBN 0-19-866132-0. Jevons, The Principles of Science, London 1879. Lukasiewicz, Aristotle's Syllogistic, Oxford University Press 1951. Ockham's Theory of Terms: Part I of the Summa Logicae, translated and introduced by Michael J. Loux (Notre Dame, IN: University of Notre Dame Press 1974). Reprinted: South Bend, IN: St. Augustine's Press, 1998. Ockham's Theory of Propositions: Part II of the Summa Logicae, translated by Alfred J. Freddoso and Henry Schuurman and introduced by Alfred J. Freddoso (Notre Dame, IN: University of Notre Dame Press, 1980). Reprinted: South Bend, IN: St. Augustine's Press, 1998. Peirce, C.S., (1896), "The Regenerated Logic", The Monist, vol. VII, No. 1, p pp. 19-40, The Open Court Publishing Co., Chicago, IL, 1896, for the Hegeler Institute. Reprinted (CP 3.425–455). Internet Archive The Monist 7. Michael Potter (2004), Set Theory and its Philosophy, Oxford Univ. Press. Sextus Empiricus, Against the Grammarians (Adversos Mathematicos I). David Blank (trans.) (Oxford: Clarendon Press, 1998). ISBN 0-19-824470-3. Zermelo, Ernst (1908). “Untersuchungen über die Grundlagen der Mengenlehre I”. Mathematische Annalen 65 (2): 261–281. doi:10.1007/BF01449999. English translation in Heijenoort, Jean van (1967). “Investigations in the foundations of set theory”. From Frege to Gödel: A Source Book in Mathematical Logic, 1879–1931. Source Books in the History of the Sciences. Harvard Univ. Press. pp. 199–215. ISBN 978-0-674-32449-7. .